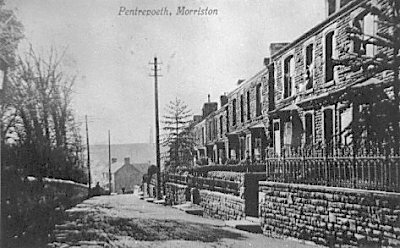 These Photographs show one of the main routes into Morriston at Pentrepoeth Road. 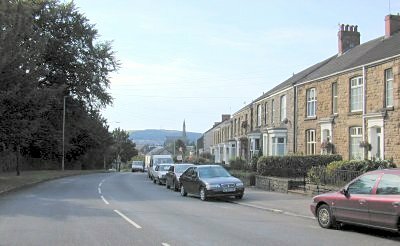 Little has changed since the old photograph was taken in 1925 except for the creation of a wide pavement for pedestrians outside the houses and the demolition of the wall on the left of the photograph to make way for road widenening. To see both photographs in black/white, click on the top (colour) photograph or click for the Set 5 Woodfield Street from St. John's Church.